According to IAVA’s last member survey, veterans listed jobs that can translate military skills to the civilian workforce as one of the top incentives for employment. 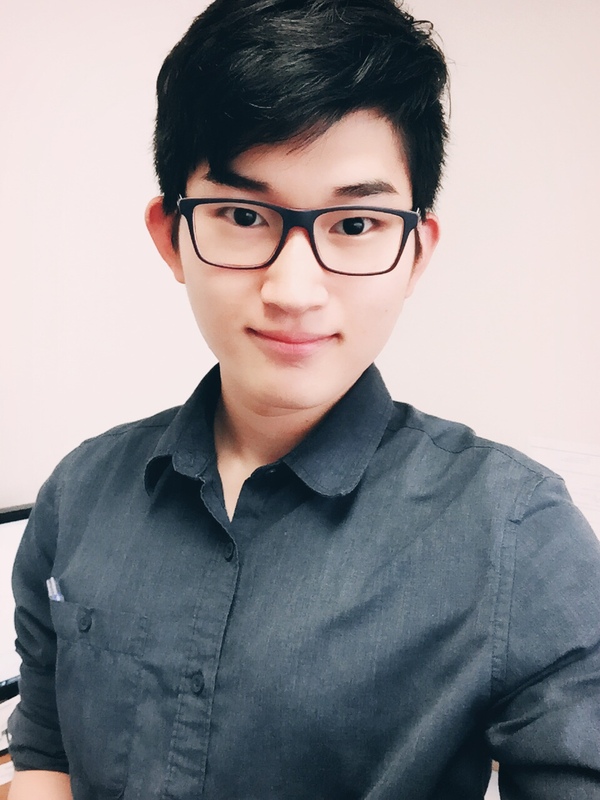 They are eager to share and bring their unique experience from the military environment, and this can benefit both employers and veterans. However, servicemembers often find it difficult to translate their military experience into the skills that the civilian workforce looks for. Many times, their technical skills are seemingly very specific to the military operation and it can be difficult to translate these skills and experiences into the civilian world. Too often, veterans limit themselves, thinking their technical skills can only apply to the defense industry when in reality many of the skills learned in the military can be applied broadly. In addition, the military lifestyle develops soft skills like leadership, working in a team, a strong work ethic, and integrity, but those skills are often overlooked or hard to capture on a traditional resume. Furthermore, it should not come as a surprise that veterans struggle to transition to the civilian workforce when only 40% of IAVA member respondents answered that they received any support or training to prepare them for said transition. Even with transition training, there is still a gap between servicemembers and civilian society, exacerbated by the fact that many times local employers are not fully aware of veterans’ capacity and aptitude to be quick studies, as well as any related expertise. For many, transition provides an opportunity to try something new. While some choose to continue their military profession in the civilian workforce, others want to explore a new field or industry. According to the labor market analysis by the Institute for Veterans and Military Families (IVMF) at Syracuse University, veterans represent a more substantial proportion of the workforce in science, technology, engineering, and math (STEM) occupations (8%) compared to their civilian counterparts (6%). With more than 80% of veterans in the STEM fields working in information technology or engineering fields, the report found that veterans in STEM fields overall earn more than their non-veteran peers, and have a lower unemployment rate than veterans in other occupations. 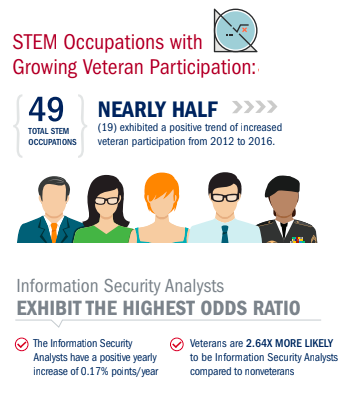 Veterans represent a bigger proportion and a faster growing population in the STEM fields than civilian counterparts. Veterans were more likely to have IT related certifications, possibly gained through STEM-type trainings and experience while they were in service. These certifications play an important role as IT systems and programs are often specialized, and the report suggested these certifications may have made veterans more competitive, putting veterans with these certifications 1.7 times more likely to work in a STEM field than a non-veteran. The STEM fields are just one example of how veterans can be a valuable addition to the workforce and meet the needs of industry. Servicemembers look at many different industries when they transition to the civilian workforce, and we need a more comprehensive transition assistance program that can help veterans decide which path they would like to take to translate their military specialties to a role in the civilian workforce. As many IAVA members have told us, it can be difficult to explain how your military experience translates to the civilian workforce and it can often feel like civilian employers do not know the value you bring. That’s why IAVA has been and will continue to fight for seamless transition from the military to the civilian world for servicemembers in employment, health care, and all aspects of life. Find out more about IAVA’s Latest Policy Priorities for Transition here. And see all of our recommendations for the 116th Congress here.